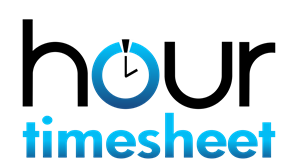 Timesheet Approval Process in Hour Timesheet - Why doe they exist? Only timesheets that have been approved by a Supervisor or Admin will be exported to payroll. Both Supervisors and Admins have access to approve timesheets. Timesheets can be approved without an employees signature. Employees can not change timesheet data after a supervisor or admin has approved the timesheet. Click the Approve button to approve a timesheet for the period. This action will add a signature row to the timesheet along with a record in the audit trail. This action will also auto generate an email to the employee if notifications have been turned on in the Settings page. Filters can be set to change the display of the employee list by group and by timesheet status. If no group exists then the page will default to “all”. The following filters are all “states” that an individual timesheet may be in. Submitted – Timesheets that have been signed by an employee. Approved – Timesheets that have been signed by the employee and a supervisor and/or admin. Processed – Timesheets that have been exported to a company’s payroll file will be marked with the Processed status. Once Processed, no changes can be made to the timesheet. If changes are required, a correction timesheet must be created.